A parent category for all assets. Create Your Own Bank – FREE Training Today – Sign Up Today! Thank you for visiting FreePathToWealth.com! I wanted to share this great FREE training on how to build your own bank. More details in video below. Take a minute and sign up. Do it for yourself and your family! NOTE: I have no affiliation with this wealth strategy company. I SIMPLY LOVE their information and free training, so I wanted to share with you! I wanted to share this link I found today. I hope it still works, as this book is an eye opener for any middle-class American who is looking to be a self-made millionaire. A must read! 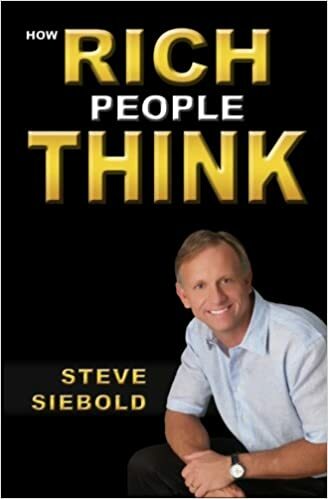 Steve does a great job making 100 comparisons between how Middle Class thinks and Rich People think. If it doesn’t work, it’s very affordable on Amazon. Click below to buy paperback. Need to thank the Elevation Group for this information. For $80,000 to $100,000 you can buy your own oil well. I have heard Robert Kiyosaki (who invests in oil fields) and other wealthy investors discuss investing in oil; however, of course they never give details. Oh, not that the Elevation Group has given much either, but they have at least made us aware of this. The resources on this page say that if you invest $100,000 today, the government immediately give you tax break of $30,000. Here are some resources on how to own your own well. He fracked until it paid off. Want to Own an Oil Well? Here are some resources on controversial “fracking”. Just in case you are concerned or someone has attempted to sway you not to drill…be informed! Hillary Told Goldman Sachs Fracking Was A ‘Gift’ In Paid Speeches. -Teach kids how to unbox and put together their very own computer. It’s so cheap. The computer unit itself is $35! -Can teach your kids to program in MIT’s Scratch programming language. -The future is the internet of things (iOT)! Microsoft released an iOT Windows 10 version specifically for rasperry pi. -Create something cool with your kids. Help them become entrepreneurs. Create a product to sell. -Raspberry pi (suggest latest version they are faster). -Monitor. (need hdmi to vga adapter if your monitor is VGA. the unit has HDMI). -USB Keyboard and Mouse that is Linux compatible. -See image below for exactly what I purchased. Hi! Thanks for your time today. 1) Hire CPA to confirm revenue. 2) Buy into industry you understand. 3) If possible, create earn out situation. Get help with business from owner.